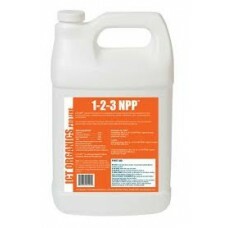 1-2-3 NPPTM (Natural Plant Protectant) is an economical, easy to use preventative and curative fungicide designed for use on turf sites including golf courses, institutional and commercial lawns, sod farms, sports fields, parks, municipal grounds and cemeteries. It also helps protect landscape plants by starting systemic resistance internally within the plant, builds up enzymes to boost immunity, thickening cell wall linings, increases soil water holding capacity, enhances the activity of anti-pathogenic bacteria and fungi and proteins to increase biological activity in the soil. Can be applied as a soil drench and drip irrigation. Treats approx 3 acres (128,000 sq. ft.) USDA National Organic Program Compliant. Can be applied as a soil drench and hrough drip irrigation systems to aid with plants susceptible to crown rot and other similar conditions. Also feeds soil microbes to enhance their population growth. Microbes break down chitin in the soil and provide benefit in the soil to fight pathogens. Also, helps keep emitters clean from forming biofilms. SEE FULL DIRECTIONS FOR USE ON PRODUCT LABEL. Always follow the instructions on the product label. Always read and follow label directions for all products. Information here is not a substitute for directions on the product labels. Note: To increase efficacy, adjust spray tank water to a pH range of 5 to 5.5 before adding NPP. NPP should not be mixed with other products such as dyes. Curative Application Rate: 3oz. of NPP per gallon of water. Will treat 1000 sq. ft. of surface area. Preventative Application Rate: 2oz. of NPP per gallon of water. Will treat 1000 sq. ft. of surface area. Can be applied through all these methods. Care should be taken to cover all plant, tree or lawn and leaf surfaces, including the top and bottoms of all leaves. Can be applied through drip irrigation for fungicidal benefits to the soil. Also, helps keep emitters clean from forming biofilms. Can be applied as a soil drench around all sizes of trees to improve sap flows. Applying NPP as a preventative - set sprayer dial to 1/2 oz. per gallon of water and follow label instructions for frequency of spraying. Applying NPP as a curative - set sprayer dial to 1oz. per gallon of water and follow label instructions for frequency of spraying. Quality hose end sprayers will be equipped with a brass mixing valve and a dial adjustment (usually on top near the handle) for mixing a specific amount of concentrate with water as the mixture is dispersed from the spray head. These type of hose end sprayers will allow you to pour the concentrate into the holding container on the sprayer, set the dial for the desired mix rate and then spray the desired area or plants. If any concentrate is left over, you can pour the remaining concentrate back into the original container or keep the concentrate in the hose end sprayer container for the next application. Some hose end sprayers mix the concentrate with water in the container before dispersing it through the spray head. These types of hose end sprayers are not recommended for us with this product. Determine which type of hose end sprayer you have before using it with this product. Most quality hose end sprayers will disperse about 1 gallon per minute of mixture from the spray head. This measure is a helpful guide, but may not apply to your specific hose end sprayer. Consult the instructions or owner's manual for your specific hose end sprayer. This item qualifies for Pallet Saver Shipping Rate to all 48 States. Create a Commercial Account to receive very low shipping rates on this item. 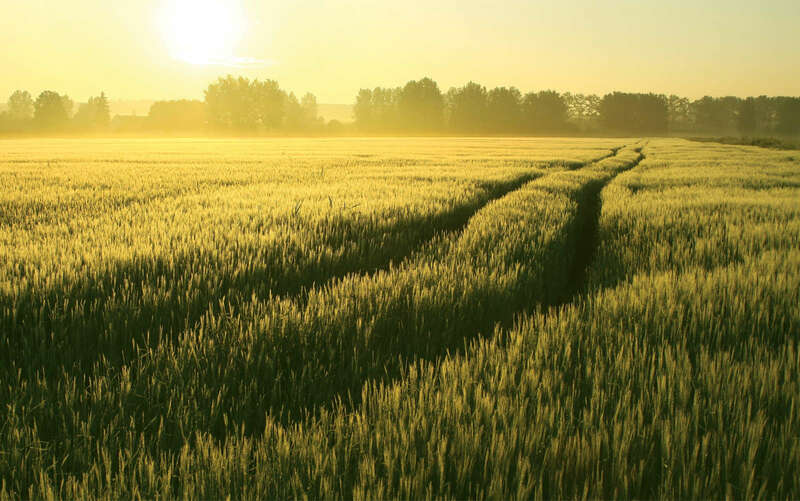 Commercial Accounts also receive Commercial prices and discounts on our entire selection of items for Agricultural, Commercial and Professional use. For questions or more information call us at 888.499-9869 or Contact Us. Please enter your question below and we will respond as soon as possible.